At University Chevron, we know how busy you are and want to help keep your vehicle in top condition. We offer free auto repair and maintenance service reminders–when it’s time for service or maintenance, we remember for you! 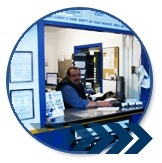 University Chevron offers fast, convenient, no-appointment-necessary auto repair service. Our “FAST LUBE: services are performed with quality Chevron and NAPA products for cars, trucks and vans. We also offer other “quick” services such as changing fan belts or headlight. We know your personal time is important to you. Waiting just isn’t in your schedule you have places to go, people to see and minor repairs to your vehicle just isn’t a priority. We’re here for you! 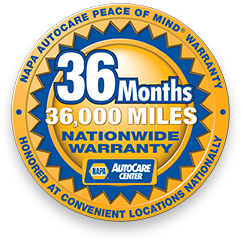 Give us a call or drop by we’ll do our very best to get your car needs taken care of as quickly as possible! And speaking of being “quick” – when you’re in a hurry, our Fast Pay dispensers allow you the option of fueling your vehicle with CHEVRON fuel with Techron and paying for it with your CHEVRON or bank credit card right at the pump. No more waiting for an attendant or cashier! Working Together For Your Satisfaction! We know you have many choices concerning those you trust with the maintenance, service and repair of your fleet vehicles. Your fleet vehicles represent a substantial financial investment and we will assist you in optimizing that investment by keeping your vehicles safe and dependable. Our goal is to develop a trusting relationship wit you. We will accomplish that goal by giving you the best service possible and making every effort to repair your vehicles right the first time. We will also make recommendations for repairs and scheduled maintenance that will maximize the safety and efficiency of your fleet vehicles. The Best Maintenance for your Fleet Vehicles is PREVENTATIVE MAINTENANCE! University Chevron understands that customer satisfaction is the key to any successful business and we look forward to working with you to reach and maintain the ultimate goal of fleet vehicle dependability. Call us today for your personalized Fleet Service Package!